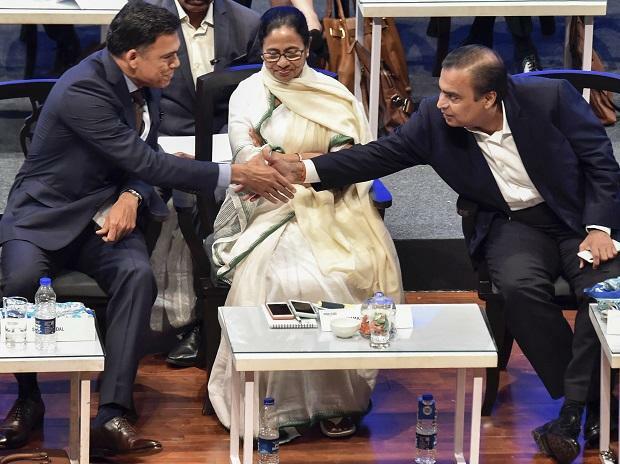 The fifth edition of Bengal Global Business Summit (BGBS) ended with West Bengal government receiving investment intentions worth Rs 2.84 trillion. Showcasing West Bengal as a favourble investment destination, this year saw an increase of 29.68 per cent over the previous year, when proposals worth Rs. 2.19 trillion were received. “The proposals we received proves our credibility and accountability. A total of 86 MoU (Memorandum of Understanding) have been signed, 1200 business to business meetings and 45 business to consumer meetings have been held. Investment means the creation of new jobs and around 8-10 lakh more jobs will be created in West Bengal from these investments”, the state’s chief minister, Mamata Banerjee said at the conclusion of the 2-day event. The state’s finance minister, Amit Mitra, said that approximately 40 per cent of the total investment intentions the BGBS received so far are under various stages of implementation. From 2015-2019, total investment intentions valued at Rs. 9.47 trillion. With 12 partner countries, a total of 16 ambassadors were present in the meeting. Large business delegations like a 51-member strong delegation from the UK, 63 from South Korea, 28 from Italy, 35 from Germany and Poland each, 37 from Japan an d26 from the USA participated in the event with big global corporate houses like Alstom, Accor Hotels, IKEA, Capgemini, Schneider Electric, IBM, Dell, P&G and several others. Mitra credited Banerjee’s past visits to several foreign countries like the USA, Germany and Italy, among others as the cause which led to these countries sending business delegations to invest. Mitra said that IKEA is looking at its second store in the country in Kolkata and is scouting for space well connected with public transport. It is also trying to set-up backend sourcing from Bengal. On the other hand, the CM said that another 100 acres of land for the Silicon Valley have been acquired and companies like Capgemini, Tech Mahindra, Cognizant and the Indian Statistical Institute have applied to set up facilities there. Reliance Jio, TCS and FirstSource Solutions have already taken land in the current Silicon Valley. The state government, Mitra said, is working on the state-state model of international cooperation which he claimed to be unique in India. “We are cooperating with particular regions in countries where we have core competency”, he said. Four such MoUs have been signed in this year’s summit. He said that the Polish delegation has shown interest to develop the Deocha-Pachami coal mine in the Birbhum district of the state which is estimated to hold the world’s second-largest coal reserves. On the first day of the BGBS, Reliance Industries committed fresh investments of Rs. 10,000 crore in addition to its existing investment which has shot up to Rs. 28,000 crore so far. H Energy also expressed its intent to invest Rs. 2,000 crore in the state while Flipkart expressed intention to invest $ 150 million. Other important proposals received on the first day of the summit included Rs. 7,000 crore investment from the JSW Group, Rs. 1,700 crore intent of investment from ITC Ltd and other others.